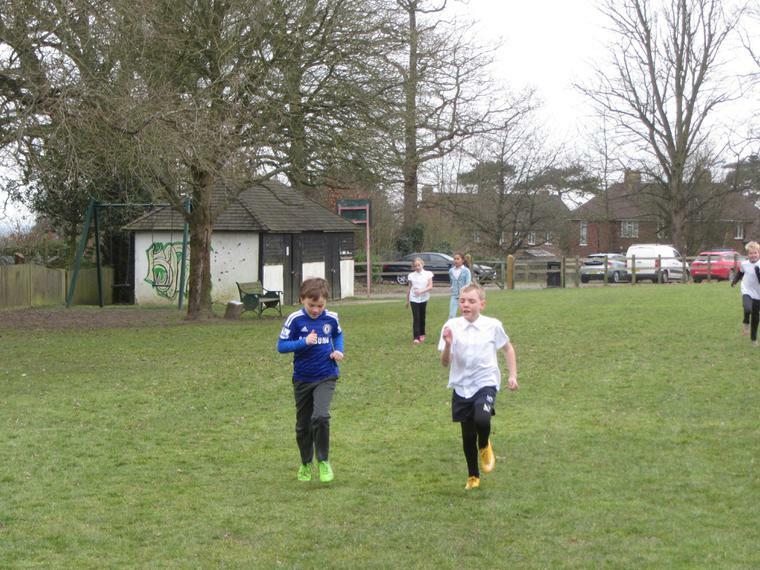 On Friday 18th March, all of the children from Pluckley Church of England Primary School took themselves up to their local recreational ground to run in aid of Sports relief. 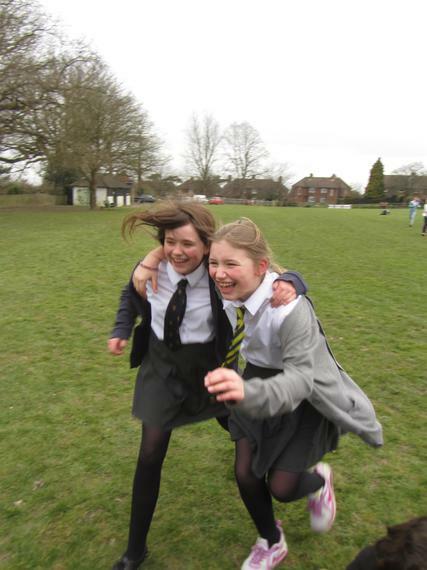 Foundation stage and KS1 children ran for half a mile and KS2 children ran for a mile. 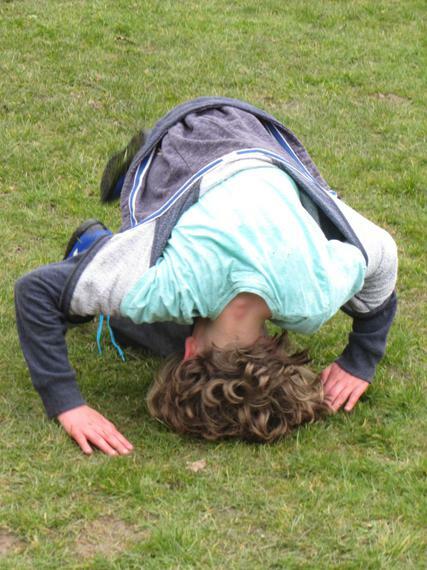 The children were encourage to come up with a variety of different ways that they would like to complete this run, this resulted in us having two legged races, cartwheels across the field and even cricket leg shields being worn. The children were all extremely enthusiastic to complete this activity and some we couldn't stop from running, even when their mile was completed. All children have completed a sponsor form to help them to raise money and all of the profits raised will be given to the Sport Relief charity.